You count on your microwave oven for one reason: to provide you with convenient food on those days when you don’t have enough time, energy or ingredients to make your meal from scratch. This is doubly true if you have a microwave from Frigidaire, one of the most relied upon brands for home appliances. So what happens when your microwave oven leaves frozen spots in the middle of your food, or only radiates to lukewarm temperatures? You may be tempted to run out and purchase a brand new microwave, but we can propose a better solution: local Frigidaire microwave repair service. 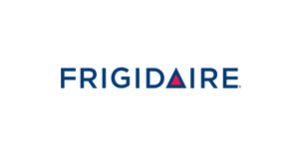 Appliance Champion repair professionals are Frigidaire microwave experts, so your manufacturer’s warranty will be in tact. When it comes to Frigidaire microwave oven repair, you can count on us for quick, reliable service. Get in touch to schedule a service call today!